Today, on this 50th day of the year, more than 50 women over the age of 50 have come together; each woman celebrating another woman in the group by connecting with and sharing their story of inspiration on their blogs. Over the past few weeks, I’ve had the pleasure of getting to know the classically chic and talented Helen Greenwell of Haute Business. Gorgeous inside and out, a fierce working mother and grandmother, with whom I share a love of shoes and faux fur, and so much more. It is my pleasure to introduce you all to Helen, today on AskSuzanneBell. New to the Fierce 50 Campaign? You can read about the campaign at Thrive Global (HERE). While you are there, be sure to check out the list of blogs and websites at the end of the article. I will be turning 50 this year, and it’s truly an honor to have been asked to be a part of this campaign, celebrating women at midlife. After you get caught up with us here, be sure to pop on over to HauteBusiness and catch my interview with Helen, now live (HERE). Note: All of today’s posts, all 50 of them, are linked over at CatherineGraceCo.com. Click (HERE) to link in! 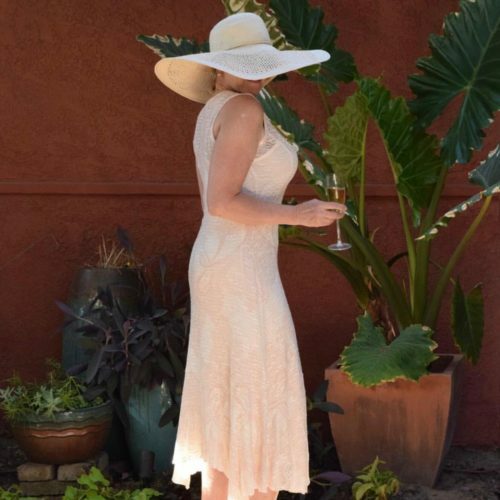 Arizona based author and owner of the Style Blog Haute Business, Helen is a proud mother and grandmother of four daughters, two by birth, two by marriage, and twins aged 9 and 8. She has a new granddaughter who was born November 29, and a grandson due Feb 18. Now that’s a party – a party Helen celebrates each and everyday. She told me she is happiest, when doing things with her family. Helen absolutely loves being a grandmother – a grandmother who knows how to rock everything from a pair of OTK boots to running pants, like no other! Helen grew up in a military family, and has a deep respect for our men and women in uniform. Like myself, Helen moved a lot growing up, and we share an understanding of how difficult moving can be on our children. You would never guess, when you see Helen sharing her bold, unique personal style on Instagram or Haute Business, that she was a bit insecure and introverted growing up. Helen told me that becoming a mom changed all that! Helen, a CPA and a Certified Financial Planner ®, launched HauteBusiness.com, knowing not all women over 50 want to dress like women over 50. Cheers to that! Not ready to ride off into the sunset in elastic pants and baggy sweaters, Helen is a believes that fashion hasn’t abandoned us over forty (or fifty gals). Sure, it can take a little more work, to find styles we truly love, but when we do – we can be more stylish than ever! A woman with confidence, full of accomplishment, who knows how to pull herself together…watch out world, she’s unstoppable! Helen knows that women naturally love to discuss issues with each other, and HauteBusiness.com is a place for women to share both fashion and finance. As you can see, Helen is far – very far from elastic pants and baggy sweaters. Helen would describe her personal style as sleek and classic, with a bit of a twist. I say she’s bold, daring and confident as well. Oh how I wish I could rock her collection of heels – maybe if I start running, my feet become more tolerant! Though Helen gravitates towards clean lines and solid colors, on her off days, I’ve seen her pull together some of the most bohemian chic looks. An accountant and a financial planner; her office style is influenced by her profession. She departs from stereotypical classics, but keeps in mind, that how she looks, impacts the impression of her clients who entrust her with their finances. My personal style has changed a lot over the years. My business look has always reflected whatever business I am in at the time – though I have to stay, I’ve always gravitated towards an all black career wardrobe. Helen’s gravitates towards sleek lines, in a variety of colors for the office. I love how she keeps her work looks interesting, with an unexpected pop of color here and there. So what does Helen have to say to us gals out there, trying to look and feel our best each and every day? Helen’s Advice to Her Younger Self? I hope you all enjoyed getting to know the Fierce Helen as much as I did! I am humbled and honored to be a part of the #Fierce50 Movement, watch out world…here we come! Now go get Social and follow Helen, you’ll be so happy you did! 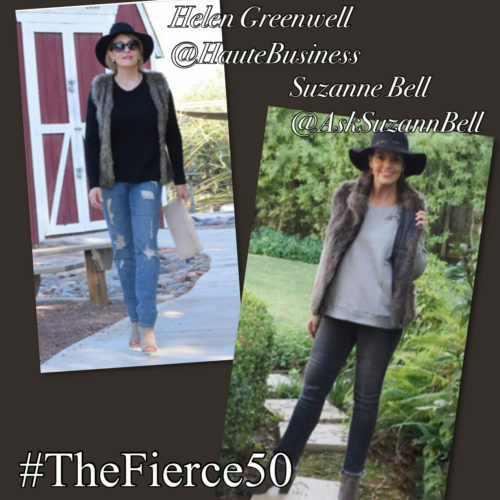 And a BIG Thank You to you all, for stopping by for this special edition of the #Fierce50 on AskSuzanneBell! I encourage you to pop on over to Thrive Global (HERE), to learn more about this amazing effort. Put together through the collaborative efforts of Cathy Williamson, Catherine Grace O’Connell, Deborah Boland, Shauna Robertson, with the hope to be role models for women of all ages! While you are there at Thrive, be sure to check out the list of blogs and websites at the end of the article. I will be turning 50 this year, and it’s truly an honor to have been asked to be a part of this campaign, celebrating women at midlife. 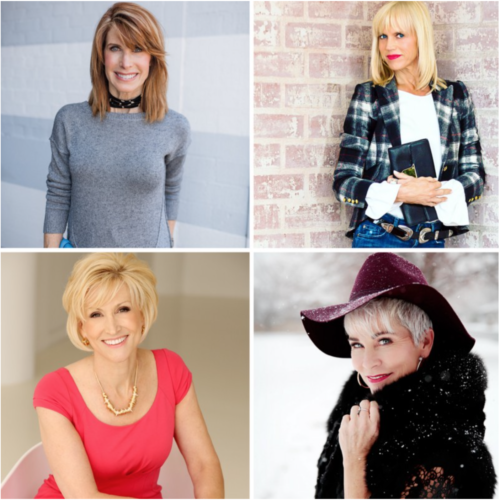 Each of these amazing women have something fabulously unique to offer…you’ll be happy you took the time to check them out! 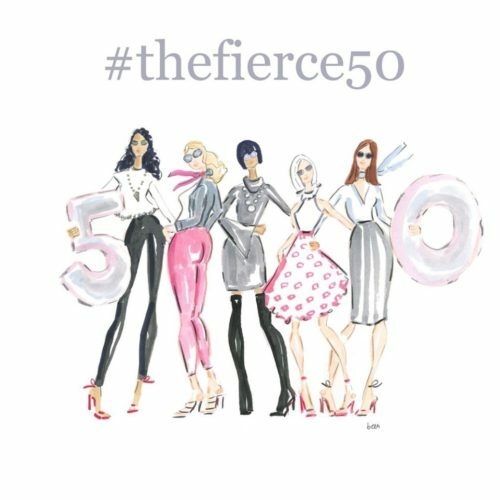 If you have enjoyed reading this blog post and would like to learn more about The Fierce 50 Campaign, please visit this page http://catherinegraceo.com/fierce-50-campaign/ (HERE), to each of the 50 women that are participating in The Fierce 50 along with their blog posts. If you or someone you know is interested in either joining or supporting the movement, please contact info@catherinegraceo.com for more information. We have lots more planned for this year and beyond so, stay tuned everyone. Follow the TheFierceFiftyCampaign on Instagram, by searching the #Fierce50 and #TheFierce50 hashtag! Drop any comments or questions down below, I love hearing from you! From Helen and I here at #TheFierce50, have a fabulous Sunday! Such a great campaign & a great interview! I really enjoyed reading it! Love it! Oh so fabulous! it’s so fun to learn more about the women we follow! !